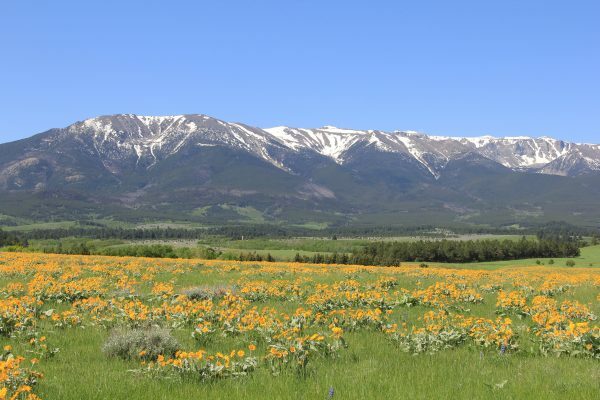 Do you dream of owning your own piece of paradise in the unspoiled beauty of Montana? Perhaps a property that’s close to Yellowstone National Park, or a ranch nestled in the mountains of western Montana or Paradise Valley? This area features some of the most picturesque ranch land in the United States. At Legacy Lands, we specialize in helping you find the perfect property. We have made our name finding unique and wonderful properties — helping buyers like you connect with the right ones. We bring years of experience and passion to the job and want to help you realize your dreams of owning a ranch. In Montana, there are a range of options available for those who wish to purchase Montana ranch real estate. We have a number of special listings for sale, including ranches perfect for horses, hunting, flyfishing on the Yellowstone River or family retreats. Each piece of ranch real estate that we offer has distinct charm and many unique features. Some include existing structures with beautiful architecture from a range of eras. Others are unimproved land, just waiting for the right buyer to realize the property’s potential. We understand that you also envision this property as an investment. We have an extensive background in personally benefiting from real estate investments, and we understand the value of such investments. Our skilled and experienced brokers has a deep familiarity with Montana ranch real estate. We work tirelessly to find exactly the right Montana ranch land for sale. Our knowledgeable and caring agents are with you every step of the way. You will never be shown a property that has little or nothing in common with the one that you want. We take the time to learn what you want from a ranch — as well as what you don’t. We then make recommendations based on your wishes. We feel that each property and each buyer should be a perfect match. The people who we work with are passionate about Montana’s open spaces. We want to share this incredible place with you by helping you find the ranch that will enable you to get the most out of Montana. Whether you are looking for a weekend retreat, a retirement project, a productive ranch or just a unique investment opportunity, we can help. We represent a large number of ranches for sale and have the experience and understanding of the area you need. Take some time to look at the unusual and enticing properties featured above. We continually search for new properties being offered throughout the areas your interested in whether we represent them or not.. We look forward to the chance to work with you. Contact Legacy Lands to learn more.